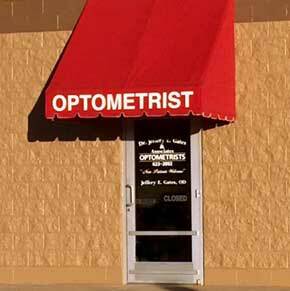 Look for the burgundy awning! Dr. Jeffery E. Gates, OD takes great pride in offering every patient the absolute best in vision care—whether through fitting them with eyeglasses or contact lenses, diagnosing cataracts, glaucoma, and other eye diseases, or recommending LASIK and other eye surgery procedures. 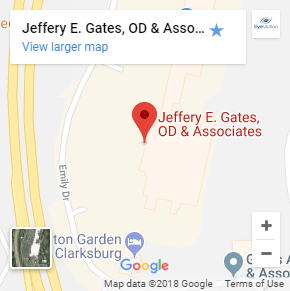 Jeffery E. Gates, OD & Associates serves all of your family’s eye care needs under one roof. It will be our pleasure to serve you and we look forward to your next visit. Call us today at (304) 623-2892 to schedule and appointment.